Gedo is an Arabian restaurant, situated in the Mosilor district near Bucharest city centre. The restaurant, owned by a Sudanese, is less known for tourists, but good for an authentic experience of the locals' places. Open terrace during summer, very good prices. Locals in Bucharest have reviewd Gedo Oriental in Bucharest. 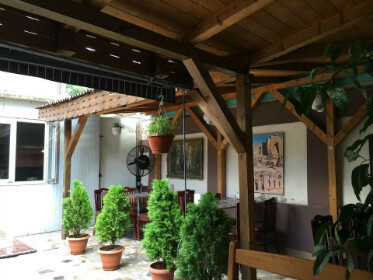 You can find here description, reviews, address, map, phone, website of Gedo Oriental in Bucharest. Visit Bucharest Tips for more Oriental restaurants in Bucharest!